A furnace helps keep your home warm, but more importantly, it helps keep your family happy. You wake up to a cold house. What's happened? It's possible that the furnace has stopped working. Replacing your furnace is the solution, but you need to do some research so you can choose the right furnace. How do you know which furnace is best? As you shop for furnaces, make sure that you take their energy efficiency into consideration. According to the Department of Energy, "Heating and cooling account for about 48% of the energy use in a typical U.S. home, making it the largest energy expense for most homes." Overusing energy is a bad idea for your home energy budget and a bad idea for the environment as well. You can heat your home just as well with a more efficient furnace. If the heat is the same but the cost over time is much lower, it just makes sense to get an efficient furnace replacement. While the exact financial savings vary a lot between homes since the size of the house and heating habits vary, the Energy Star website mentions that many high-efficiency furnaces can help you realize a savings of around 15-25 percent on your current bill, year after year. Efficient furnaces have other benefits as well. High-efficiency furnaces run for a shorter time than other furnaces, and the airflow is better managed. This means that combustion is safer. Depending on the furnace, you could also find one that contains the products of combustion, improving the air quality inside your home. 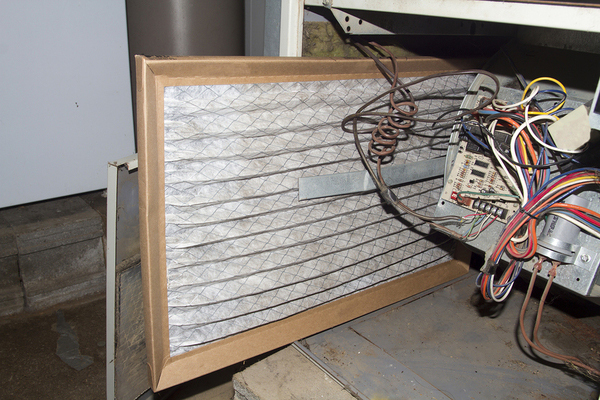 If you're suffering from furnace woes and repairs just aren't working, look for a furnace replacement. What Are Your Furnace Options? When you're furnace shopping, what can you do to help ensure that you'll find the best possible furnace for your home? Rheem Prestige R97V Series: These furnaces include the EcoNet Control Center, which gives you advanced diagnostics about your furnace system. The Bryant 987M Evolution Series: The modulating gas valve allows the furnace to precisely match your heating power needs. The Carrier 59MN7 Series with Infinity Control: The Greenspeed controls allow you to adjust the modulating gas valve output in tiny, precise increments. High-efficiency furnaces give you a higher degree of control over your home heating needs. Whatever furnace you choose, look for the Energy Star logo to ensure you're getting an efficient furnace. Work with a contractor to find the new furnace that really fits your home. This includes the brand, size, and fit with your current energy use. Are you using more energy than average on your furnace? Take a look at this chart for the Los Angeles area on Energy Atlas and find out. At Home Alliance, we're here to help your home - and you. Don't get cold feet: jump right into a furnace replacement if you find that your home is chilly. We offer a free estimate so that you can get to know our products and free maintenance for the first year.